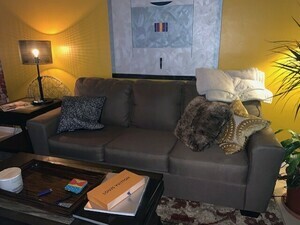 Rent my couch in a quiet, confortable condo in N Miami, FL. Half bath opposite kitchen. Share shower. Short or long term. $85 week.